Great Deals available from 8 Locations around Australia! 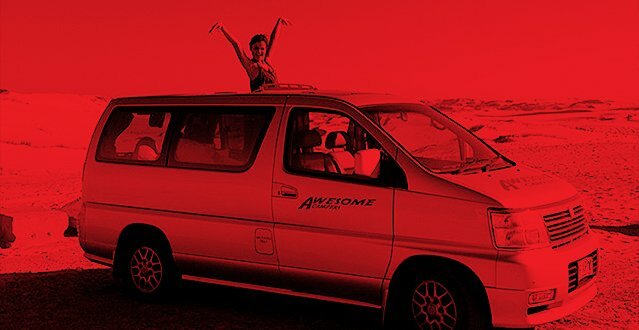 Awesome Vans and Campers provide affordable rental Campervan hire in 8 Locations around Australia. 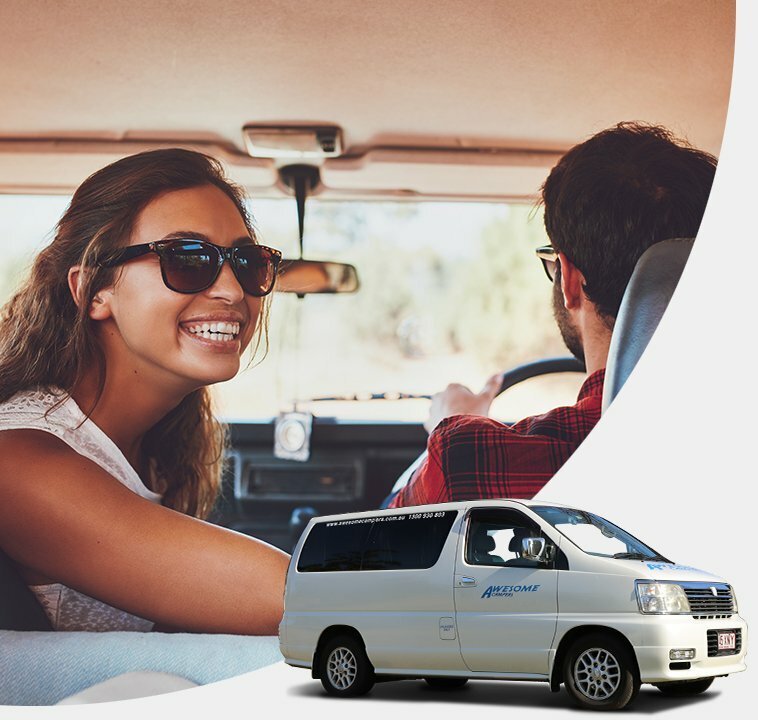 We cater for the backpackers and budget travellers looking for a great way to travel around Australia. 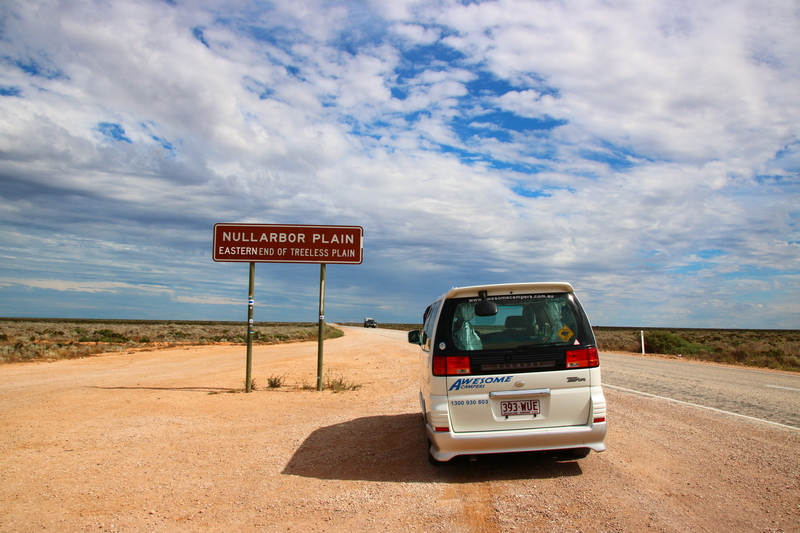 There is no cheaper way to travel Australia than in one of our Awesome Campers. You pay with your soul and not your wallet, because we offer guaranteed lowest prices, along with unlimited kilometres. Awesome Elgrand Campers, Deluxe Campers, Classic Campers, 8-seater people movers and cars. The Awesome Deluxe Camper is great for any adventure – choose your campground for the night and relax you have everything you need! Featuring a double bed, kitchen, sink, fridge, dual battery system, 240watts power outlets, CD player/radio and AUX/USB connections. The Awesome Elgrande is custom built and fully equipped with everything two people need to Explore Australia, including gas cooker, double bed, fridge, dual battery, CD player/ radio, 240watts power outlets, AUX/USB connection, and yes a kitchen with a sink, now that’s AWESOME! Amazing trip with a fantastic campervan. What an AWESOME experience! 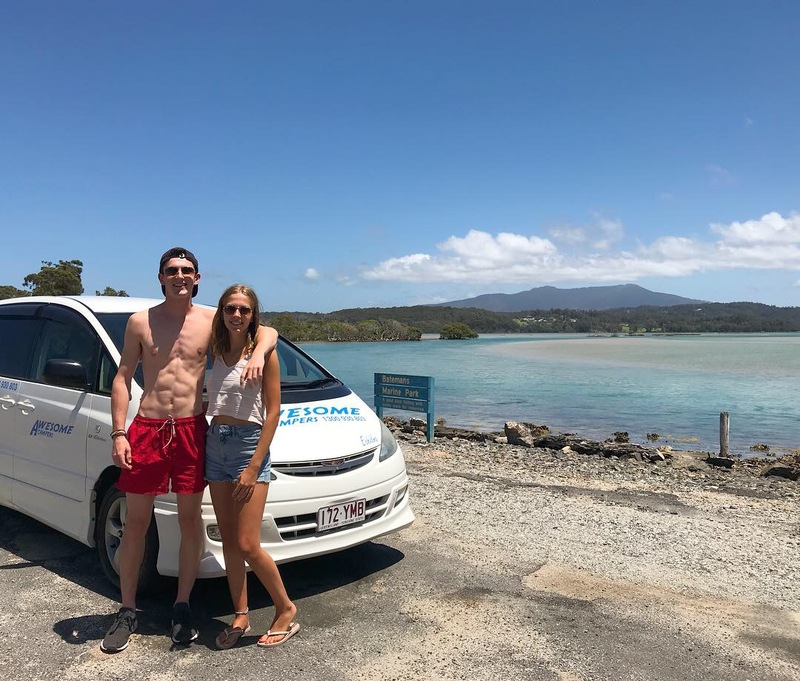 We just rented the Elgrand van ‘Brizzie’ for two weeks and drove from the Sunshine Coast to Sydney. It was a late model van with all the comforts we could ask for which is a blessing when you are camping in your 50’s! The staff are amazing and the service we received was impeccable. We highly recommend this company. A special thank you to Lauren for looking after us so well. Brizzie really became our home away from home! We really really enjoyed the vans and they were a dream to drive. Thanks so much. We rented “Two-Bob” From Awesome Campers for a month on our road trip up and down the east coast of Australia. 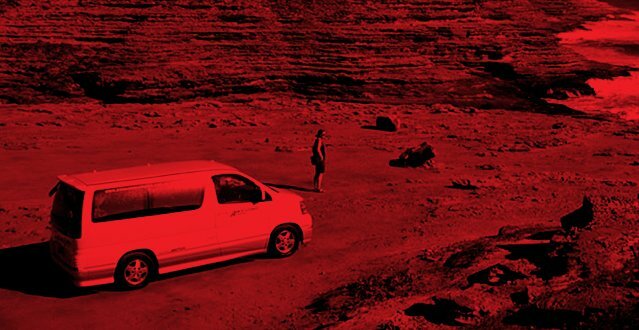 We were more than thrilled with everything about our van….ran like a top! I think we put on almost 7000k. Loved the use of kitchen! Used it lots..especially our afternoon road side tea breaks!! Going to sleep with the sunroof open and seeing the stars at night was ..well. ..Awesome! Van was well equipped with EVERYTHING we needed…Lawn chairs, table, towels, bug screen…we did buy a small Teflon fry pan and last it with the van! Even when we had a dead battery (we left the lights on…duh!) the auto service was very quick to arrive! If you are looking for luxury this isn’t for you..but if you want reasonable transport and an adventure of a life time…check out Awesome Campers!! We have had a blast. Thank you for our pimped ride! Elgrand rocked! Situated on the east coast of Australia, Sydney is home to the most beautiful harbour in the world. From Bondi beach to the Blue Mountains, Sydney has the most incredible range of natural scenery and wildlife, all easily accessible in your awesome camper. As Australia‘s largest city, there's also no shortage of entertainment and attractions to keep you busy. 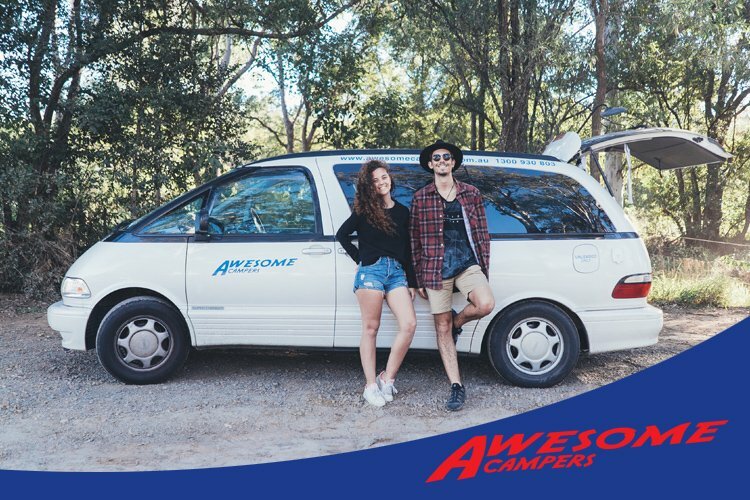 Pick up an Awesome Camper from our Melbourne branch and explore the best of what Victoria has to offer. From Ned Kelly country to the Great Ocean Road you will find plenty of great places to add to your trip. And if the city is more your speed, Melbourne has a great art, food and music scene. South Australia boasts some of the most picturesque countryside to be found in Australia. Pick up an Awesome Camper from Adelaide and meander your way through the rolling hills of Australia’s greatest wine regions. There are plenty of unique locations to be explored! The capital of Queensland is renown for its sandy white beaches, great weather, great food and great people. Not necessarily in that order! Brisbane is central to some great locations including Somerset, Stradbroke Island and the Gold Coast, all short drive away. Pick up an awesome camper from our Brisbane office and explore the country side in comfort at your own speed. 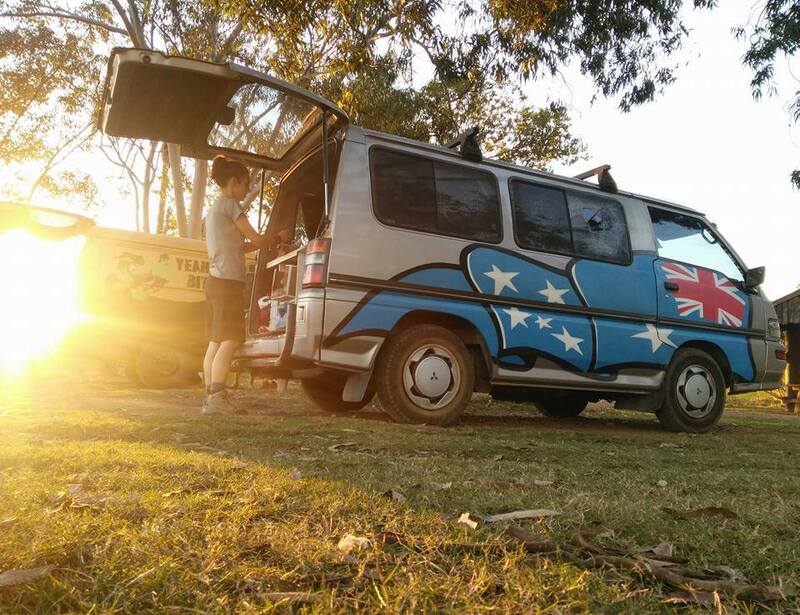 Explore the best that Far North Queensland has to offer with an Awesome Camper. Home to Australia’s famous Great Barrier Reef, Cairns is definitely one of the top adventure locations in the country. Snorkel the reef yourself, sign up for a boat tour or get up close and personal with a scuba diving trip. The gateway to the Great Barrier Reef, Airlie Beach is the main hub for all Reef activities and access to the Whitsunday Islands. Stunning views by day give way to a vibrant nightlife. The Airlie Beach Lagoon is a popular spot to relax and unwind. Visit nearby Conway National Park and Cedar Creek Falls to discover quiet coves, beaches and tropical rainforest.